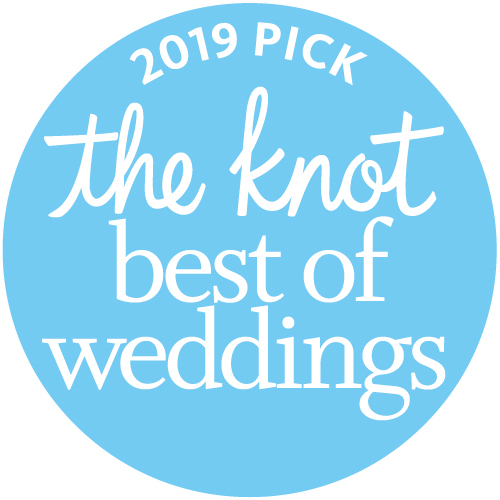 BATON ROUGE, LOUISIANA/January 14th, 2019— COMPLETE weddings + events is pleased to announce that we have been selected as a 2019 ­­winner of The Knot Best of Weddings awards, an accolade representing the highest- and most-rated wedding professionals as reviewed by real couples, their families and wedding guests on The Knot, a leading wedding planning brand and app. This is the 3rd year COMPLETE has been named a winner of The Knot Best of Weddings awards. The Knot has inspired 25 million couples, and counting, to plan a wedding that’s uniquely theirs. 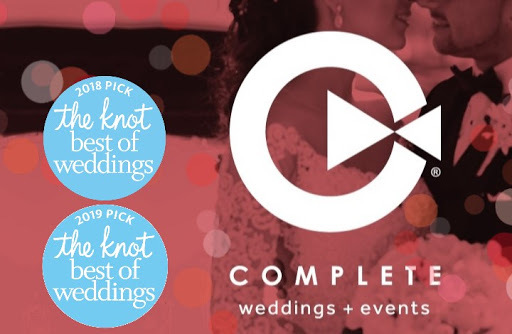 With a rich history of providing high quality content and inspiration, The Knot makes it easy for couples to connect with and book just the right wedding professionals to create their perfect wedding day. On The Knot marketplace, couples can be connected to any of the hundreds of thousands of local wedding professionals across the country. The Knot Best of Weddings gives couples the confidence to find and book the best local vendors to bring their unique wedding visions to life. In combination with years of trusted content, The Knot’s innovative technology makes planning one’s wedding celebrations easier and more enjoyable. Complete Weddings and Events, your leading provider of event and wedding photography, videography, lighting, DJ services and photo booth rental. Whatever you need to set the stage for a phenomenal special event, we have you covered. With New Orleans & Baton Rouge’s most talented wedding photographers, videographers, and DJs, we will provide you expert photos, high-quality video, timeless music and unforgettable events at an affordable price: We Do. The Knot is the nation’s leading multiplatform wedding resource offering a seamless, all-in-one planning experience—from finding inspiration and local vendors to creating and managing all guest experiences, wedding registries and more. The trusted brand reaches a majority of engaged couples in the US through the #1 wedding planning website TheKnot.com and #1 iOS and Android mobile app The Knot Wedding Planner, The Knot national and local wedding magazines, and The Knot book series. Since its inception, The Knot has inspired approximately 25 million couples to plan a wedding that’s uniquely them. Visit The Knot online at TheKnot.com and follow on social media: Facebook.com/TheKnot and @TheKnot on Twitter, Pinterest and Instagram.